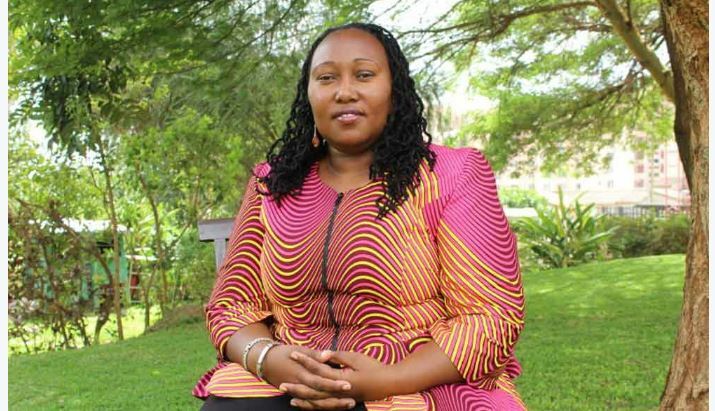 Unmarried at 31 and with Desire to Start Family, Joy Mueni Decided to Adopt. Here's her Story. 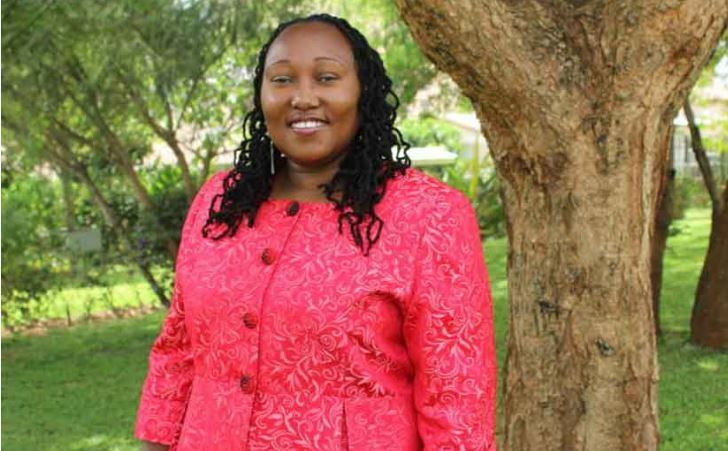 Unmarried at 31 and with Desire to Start Family, Joy Mueni Decided to Adopt. Here’s her Story. Joy Mueni, 36, was 31 when she decided to start a family but there was one problem; she was unmarried and didn’t have a partner. The driven academic who received her Master’s at 23, and her PhD at 32, would later opt for adoption, an unorthodox path that not many are brave enough to follow. She is now a happy mother of two and shared her story with EveWoman magazine. When I hit 31, I woke up one day and decided it was time for me to start a family. I often make plans for my life, and as you can imagine, I had planned that by the time I was 30, I would have my own family. I grew up in a small, close-knit family filled with lots of love. From the time I was a young girl, I always knew I wanted a family. Like many people, I thought that, at the right time, preferably 28 years of age, I would get married. I had everything planned from the colour, to the theme. The only thing missing was a groom. I had dated a bit but I had not met someone with whom I felt comfortable forming a life-long partnership. I started asking myself whether marriage was really for me. As I wondered and questioned myself, my friends were getting married. As 30 approached, I found myself unmarried and with a strong desire to have a family. Then one day, it dawned on me that there are other ways of having a family as opposed to the mainstream idea of getting married and birthing children. I also realised that there were other definitions of what a family was and key to me was that a mother and her children are a family. I researched into alternative forms of having children — in line with God’s word — such as In Vitro Fertilisation and adoption. After intense research and prayer, I decided that I would adopt. Of course, I was scared and unsure but determined, nonetheless. The first person I shared the idea with was my mother and, at first, she was a bit hesitant. She asked me to think about it more. Though I believed in my idea, I respected her wishes and gave it six months before I broached the subject again. Six months later, after praying over it, I took her for lunch and told her that I had decided to adopt and she gave me her blessing. Apart from my mother’s blessing, I knew that I also needed social support and that, I needed my extended family’s blessing. So, I toured the country from Nyeri to Makueni and Machakos informing my aunties and uncles of my plans. This was necessary as I wanted my children to be fully accepted by our relatives. They all gave me their blessings. When I decided to adopt my first-born child, I was very unsure of the process. The good thing is that I love reading and so I took time and did a lot of online research on the adoption process. I settled on Kenya Children’s Adoption Agency that is based along Lang’ata Road. Once I visited, the officer there gave me a lot of information and I was satisfied that I was in the right place. I started the adoption process in mid-May of 2013 and by end of September, I had the child home with me. After you take the baby home, there is a compulsory three-month bonding period with the baby after which, you are required to file your case in court. In that December, I remember I could hardly wait for the offices to open in January as I was in a hurry to go to court. I filed my petition in January and after several court appearances, I was granted full parental rights in May. Soon thereafter, I followed up with the registrar of persons and got an adoption certificate which I thereafter used to get a birth certificate and later a passport. I never thought I would have my second child. But as her sister grew, I was convinced that adopting another child would be nice. The problem this time was that there was a moratorium on local and international adoptions. Since there was nothing I could do, I prayed that the moratorium would be lifted. When the local adoptions moratorium was lifted, I went to the first agency that got licensed. My experience with them was not as smooth as with Kenya Children’s Home Adoption agency. Nonetheless, I brought the child home on a cold Monday morning in November 2016. She is now over two years old. They both love each other and every time I look at them playing, I feel joy that I cannot compare with anything in this world. I would highly encourage anyone willing to adopt to go ahead. The process is clear and straightforward. The only thing that you can’t determine is the time it will take. There are a lot of things that are not in your control or the adoption agencies’ control. Just start. As surely as the sun rises in the East, the process will come to an end in God’s perfect timing. My first child is five years old and is in PP2. She is named after my mother. My second born is two years old now. She is in playgroup. I love the fact that her name rhymes with her sister’s. My first child is a born leader. Even in school, she is already showing many leadership qualities and is jovial. My greatest joy is that she loves learning new things. I am also happy that I have managed to teach her basic skills like cooking and cleaning. She can roll chapatti and cook eggs very comfortably. She is a chatter box who always keeps us engrossed in her stories. Her favourite activity now is riding her bike and colouring. Her sister is a quiet one. She is loud and yet quiet. She is at an impressionable age and follows what her older sister does. It is hard to know what she really likes. But one thing I know for sure is that she is very empathetic. She will also be the hugger in the family and the one who takes care of the rest. I will never forget when I first brought them home. The period that followed after was one of learning and growing, and bonding. I advise anyone who chooses to adopt to ensure that they make an effort to bond with the child when they first come home and this involves being the primary care giver. Being the one to clothe, feed, put to sleep and just spend as much time with the child when they first get home as this helps to create a bond. So far, it has been a wonderful and rewarding journey. I have no regrets. In fact, I have come to know that God’s grace is sufficient. He makes a way where there seems to be no way. I have experienced God’s love and provision over and over. And, yes, sometimes I worry that my children are missing out on the love of a father, but I quickly remember that they are not alone. God says He is the father of the fatherless in Psalms 68:5. In addition, my younger brother has taken up the road, he has invested in my girls and I am very grateful to him. Do the children know they are adopted? It is something I never wanted to hide from the children. My eldest knows about adopting, but in the way a child at her age can understand it. In fact, before I adopted her and brought her home, I visited her at the home where she stayed. Adoption is a beautiful thing and nothing to be treated with shame and is in fact in line with Biblical scripture (James 1:27). I have not been dating. I am not interested in dating. As of now, I am happy in the space that I am in. It is a beautiful place. I have all my freedom and independence and my family of two children. This does not rule out marriage but that’s a distance fantasy. I do not think I will adopt more children. Two are enough. However, I do see myself working with charitable children’s institutions or at least advocating for the rights of children either as an individual or the organisations that I work with. I am currently a senior lecturer at Riara University. I worked at the School of Journalism, University of Nairobi and previously as a reporter with Nation Media Group. I love my job and hope to continue growing and to be still, walking in God’s perfect will, which I hope is aligned to children matters.